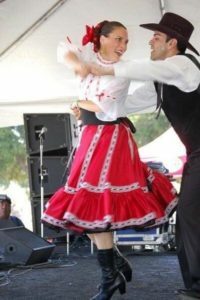 Mexican Folklorico Dance Joins in Full Day of Dance©!!! 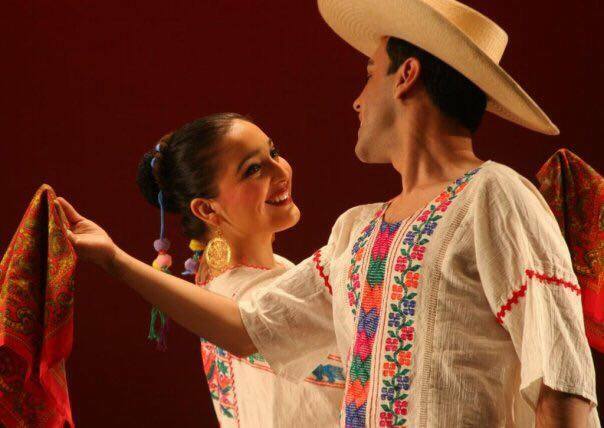 Wonderful news for Full Day of Dance!© Arturo Magaña will teach Mexican Folklorico dance on Full Day of Dance©, June 24. He and his group will perform on the Festival Concert, July 1. Arturo is the Artistic Director of the Ensamble Folclorico Colibri. He also is the Dance teacher at Lincoln High School, San Jose. He is truly a master of the Folklorico dance. It is a great opportunity to watch him and his outstanding group AND to experience the Folklorico dance in his open master class. More details: FULL DAY OF DANCE© June 24, classes run from 10 a.m. to 5 p.m. with short breaks between classes. 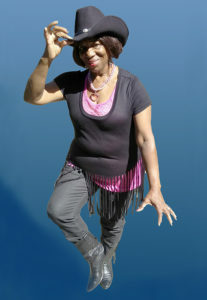 All are mixed levels and enjoyed by advanced or beginning dancers. This is a tribute to the excellence of our artist/teachers. All classes last one hour. EARLY BIRD discount available up to May 20. Price per class reduces with each added class. Early Bird: single class/$20; all five classes/$60. You may take any number of classes. Please remember to register! Send your check to The Lively Foundation/ 550 Mountain View Avenue/ Mountain View, CA 94041 Include the check made out to The Lively Foundation, your name, which classes you plan to take, your email address, and your US mail street address. 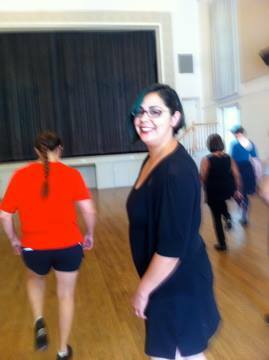 Full Day of Dance© classes include Tap Dance, Pilates mat, Line Dances, Contemporary Dance, Mexican Folklorico. FESTIVAL CONCERT is July1, 3 p.m. The program includes premiere work by all of the artist/teachers. This is an EXTRAORDINARY opportunity to see these fabulous artists on one program and to see what new work they have created. Tickets: $20 general/$12 over 65 and 10 years old & younger. Patron ticket: $30 (includes tax deductible charitable donation). Discounts available for groups. Tickets include complimentary refreshments. 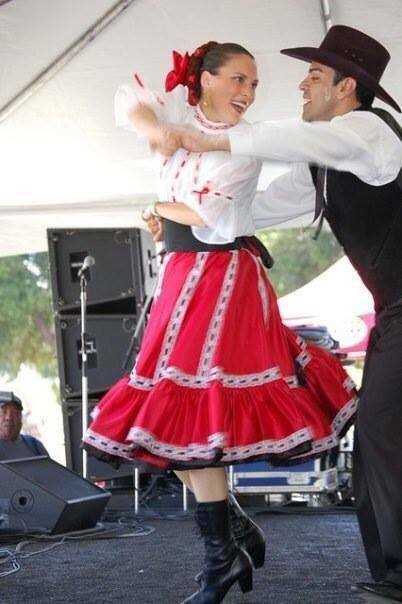 This entry was posted in INTERNATIONAL DANCE FESTIVAL-SILICON VALLEY and tagged Arturo Magana, Festival Concert, Full Day of Dance, Grupo Folklorico Colibri, International Dance Festivial@Silicon Valley, Lincoln High School San Jose, Mexican Folklorico dance, The Lively Foundation on April 30, 2017 by Leslie. Here’s the Full Day of Dance© for the International Dance Festival@Silicon Valley 2017. As in previous seasons, IDF@SV brings you the BEST artists who are also GREAT teachers. Back to back, open Master Classes; each is one hour long; all are mixed levels. 10 a.m. to 5 p.m. There is a short time out between classes. FREE coffee tasting & treats during the mid-day break. 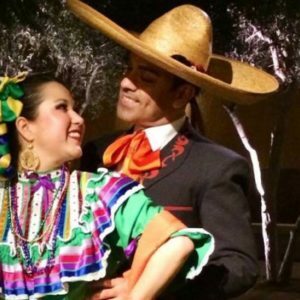 Mexican Folklorico—first time we’ve offered it, taught by Arturo Magana, Artistic Director of Grupo Folklorico Colibri, this will be amazing and beautiful. MOST FUN AND BEST DEAL: TAKE THEM ALL! The first Full Day of Dance© was presented at the first International Dance Festival@Silicon Valley. We had instant proof that it was a great idea: so many large companies have copied it! Accept no substitutes! Come on June 24 and remember that dancing can make you happy all over. This entry was posted in INTERNATIONAL DANCE FESTIVAL-SILICON VALLEY and tagged Amity Johnson Pilates mat class, Arturo Magana, Audreyanne Delgado-Covarrubias, Contemporary Dance, Elisabeth Kindler-Abali, Full Day of Dance, International Dance Festival-Silicon Valley, Line Dances, Mexican Folklorico dance, Pilates mat, Tap Dance, The Lively Foundation on April 27, 2017 by Leslie. The Hedgehog notes with great sadness that Stanislaw Skrowaczewsi passed away, February 21, 2017. The Minnesota Orchestra performed a special concert as his memorial. Skrowaczewski has a special place in The Hedgehog’s heart as we had great pleasure interviewing him for the Fall, 2006, issue of The Hedgehog (Vol. 4, No. 1) Born in Lwow, Poland (it is now Lviv, Ukraine), 1923, his gifts were apparent from an early age. He began to study violin and piano at age four, to compose at age seven, made his first public recital at eleven, and conducted Beethoven’s Third Piano Concerto at thirteen. 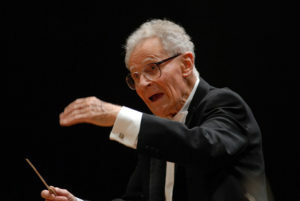 In his mid-twenties he became, successively, Music Director of the Wroclaw, Katowice, and Krakow Philharmonic Orchestras, and then of the Warsaw National Orchestra. After World War II, he studied in Paris with Nadia Boulanger, co-founded an avant-garde music group, Zodiaque, and won prizes for his compositions. His symphonic works, from the late 1940s-early 1950s such as Symphony for Strings and Music at Night, are still in the repertory of European and American orchestras. In fact, it was the San Francisco Symphony’s premiere performance of Music at Night which was the occasion of our meeting with him. He composed more than 36 orchestral and chamber works. 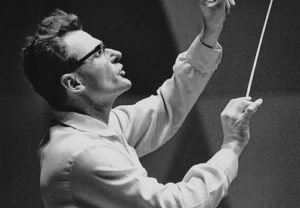 After Skrowacewski won first prize in Rome’s Santa Cecilia International Competition for Conductors, 1956, George Szell invited him to make his American conducting debut with the Cleveland Orchestra. This acclaimed performance led to his appointment with the Minnesota Orchestra (then named the Minneapolis Symphony Orchestra). He and his wife had to defect from Communist Poland to take this position. He said that he and others were not allowed to conduct whole areas of music, “including Stravinsky.” He was Minnesota’s Music Director, 1960-1979, and then became their active conductor laureate. He was principal conductor of the Halle Orchestra in Manchester, England, 1984-1991, and returned to Poland annually to conduct in Warsaw and Katowice. Poland gave him its highest honor, naming him Commander with White Star. Minnesota also honored him with the McKnight Distinguished Artist Award for contributions to Minnesota’s Arts and Culture, 2004. For a copy of The Hedgehog with the Skrowaczewski interview and photo portrait by Jonathan Clark, please contact livelyfoundation@sbcglobal.net A limited number of these back issues is available. These quotations from Stanislaw Skrowaczewski are published with permission of The Hedgehog, a publication of The Lively Foundation. The copyright belongs to The Lively Foundation. DO NOT QUOTE OR REPRODUCE WITHOUT PERMISSION. 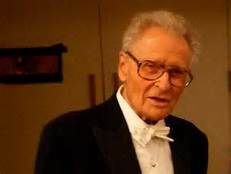 This entry was posted in Hedgehog Highlights and tagged Cleveland Orchestra, Curtis Institute, Gary Graffman, George Szell, Minnesota Orchestra, Music at Night, Stanislaw Skrowaczewski, Symphony for Strings, The Hedgehog on April 18, 2017 by Leslie.